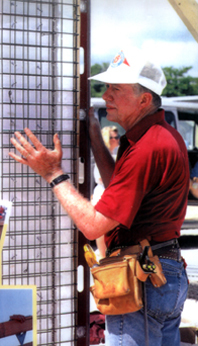 President Jimmy Carter building with the SCIP system. and services to the building industry. Its core building material is SCIPs, (Structural Concrete Insulating Panels). than any other regular building materials. in both load and non-load bearing applications.